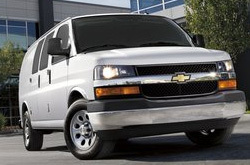 Please look below the video to begin reading a full review of the 2013 Chevrolet Express. All Chevrolet dealers in Phoenix aren't the same. At Midway Chevrolet, we feel it's our job to present customers with quality Chevrolet reviews that set us apart from the typical dealer. Loaded with accessible specs and facts, each passage gives you complete access to all the Chevrolet Express has to offer. Can you see the Express parked in your driveway? You won't know unless you read on! Check out the 2013 Chevrolet Express to versus similar autos like the 2013 GMC Savana, Ford Transit Connect, Ford E-Series and the Mercedes-Benz Sprinter, and you will see that the 2013 Express trumps those vehicles in loads areas. Browse the reasons see why! To find spectacular Chevrolet repair techs and actual factory-made parts, Phoenix Express owners need not roam far. Go to a centralized site close to where you live, and benefit from the sense of contentment that comes with receiving tried-and-true repairs and a 12-month long warranty on every job. 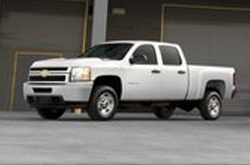 Chevrolets in Phoenix can take a pummeling, so turn to the auto repair experts in Phoenix - Midway Chevrolet. We handle a large array of jobs with without breaking a sweat, including Chevrolet fuel filter replacement, tire switch outs and, of course, hard tasks like muffler repair - and this is just a fraction of what we can work on. For tried-and-true Chevrolet repair in Phoenix, drive your Express to Midway Chevrolet, where you can always expect one-on-one service. Save money on your next service appointment - click the link below to learn more.